The adaptation of Tim Winton’s The Turning into a feature film comprising 17 short stories directed by no less than 18 of some of the most well-known and respected names in the Australian film industry has created a buzz, and not just in relation to the usual critical reasons associated with any given film but also because of the way this particular film has been distributed. Critical factors aside where reviews have generally been positive, overwhelmingly commentators have praised the films limited distribution method as ‘innovative’ in being able to create an event unlike the typical movie going experience, and have talked of this in terms of a so-called ‘success’ (for example see: Tim Winton is Turning a Dollar, Madman Entertainment Punts on Film based on Tim Winton Book The Turning, The Turning Wins an Audience and Glowing Reviews ). 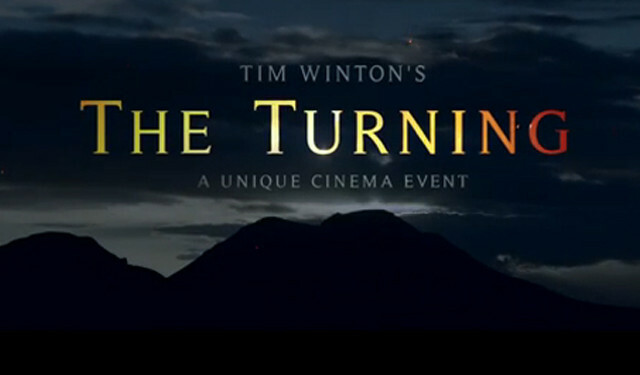 Indeed the film has been marketed ‘as a unique cinema event’, and there is no denying in release terms at least, that this film differs from the norm. In Australia it has played in only a total of 53 cinema’s nationally, with only a single or small number of screenings per cinema. Tickets cost $25 but also come with a 40 page colour program. During the screening of the 3 hour feature there is an intermission and many sessions have also featured talks and included cast and directing members as well. In the opening weekend The Turning was released on only 16 screens and took $215,552. So yes, The Turning is unique for how it has been released but it’s hardly the ‘success’ it’s being heralded by some. Indeed, its release strategy seems more like a sure fire way to generate an overall loss, given the importance of initial box office taking for Australian films which have limited opportunities for the generation of ancillary revenues post-cinematic release (particular with the fall of the DVD market) which is problematic. So in terms of the films distribution just what measure of ‘success’ is being talked about? Is it in terms of drawing in audience and reaching new audiences, or is it in terms of pure profit term? Given the limited release only around 40,000 people have seen the film. This represents a small audience reach for a film that has received so much publicity, so success can hardly be claimed on this first ground. Nor can success be claimed in terms of box office only recently has the film managed to reach $1m in box office takings which given it cost well in excess of that to make is hardly impressive. Finding exact figures on what it cost to make and market (not just this film, but any film) is not easy to find, but what is known is that $5m of public funding was provided by Screen Australia to help finance this project. So with the film currently costing 4 times more to make than it has generated in income, what is the metric of success that keeps coming up in reportage? It’s The Turning’s per-screen box office – an outmoded and irrelevant metric with no place in the contemporary cinema market analysis. This is not only because of significant differences in cinemas occupying capacity but also because in the end what matters is overall revenue and how this stacks up against costs incurred taking into account the whole of the technological and digitally driven backdrop that film exists within. Box office revenue is a ticket price times quantity calculation. Even with the higher ticket price, if the overall quantity is restricted from the distribution method then the film is doomed. Evidence of this can be seen from the opening weekend where despite sell-out sessions and a per screen average of $13,472, The Turning only managed to rank in 12th place in terms of overall box office in Australia. To focus upon the per-screen average for a film like The Turning is applying a different standard to what is used to measure or qualify other films as a success. It does not work to use box office takings for some films and per screen average for other films simply because of a different release strategy. In doing so, you are comparing apples with oranges. Surely at the end of day, what matters in terms of commercial success is the same of all films regardless of release type, and at this point in time that is total box office revenue generated. So is this a type of release strategy we can expect to see more of in the future? If rational profit maximising motives prevail, then it’s unlikely. Thanks to Simon de Bruyn, Michael Bodey and Cail Young for the comments and feedback that you generated from my post about The Turning. As rightly pointed out and indeed mentioned in the Press Release from Screen Australia , the total funding from Screen Australia is near $5m. To quote from the Statement: “Screen Australia today announced nearly $5 million investment in four new feature films, triggering close to $20m in production”. Without the exact breakdown of funding between film projects being provided and assuming that each project received a similar share, the public funds attributable to The Turning is closer to $1.25m rather than the $5m as stated in the original post. As the initial post acknowledges finding information on all the costs associated with any film project is difficult and in the absence of this information it is perhaps best to focus on the information that is more readily available. Per screen average plays an important role for distributors to determine the ongoing viability in exhibition and ultimately this feeds into profit but per-screen average in itself should not be confused with profit and financial success. Certainly per-screen average is a useful metric in a multiplex environment for films in wide release but it is less useful as a yardstick for atypical release strategies. In terms of whether this has been a profitable release strategy, early indicators are presumably not as important compared to a more typical wide release. The overall financial success attributable to this type of release strategy is something the fullness of time will reveal.